World Cancer Day was observed at various locations across Assam on Monday with prime focus to raise cancer awareness. 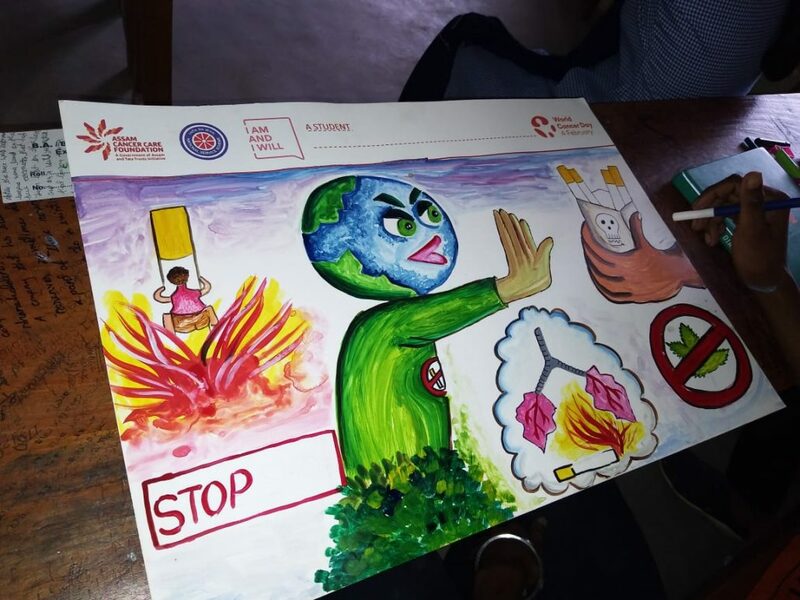 The highlights of the day were ‘Pledge For Action’ campaign in 10 public locations in Guwahati, inter-college poster competition with National Service Scheme (NSS), interview of cancer survivors, and screening of common cancers in Barpeta, Kamrup (R), Jorhat, Nagaon and Dibrugarh. In Assam, 32,000 cancer cases are detected every year, of which 70 per cent are found at an advanced stage, leading to a high mortality rate at 40 to 50 per cent. Common cancers like breast, uterine cervix and oral cavity are preventable and curable if detected and treated at an early stage. 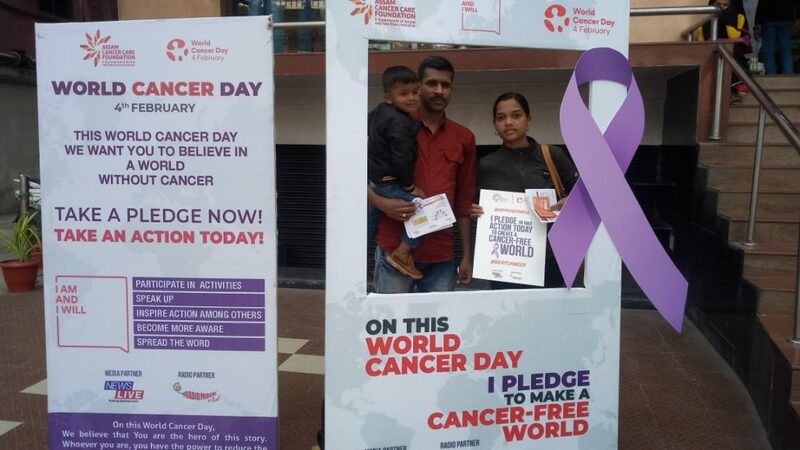 Assam Cancer Care Foundation (ACCF), a joint partnership between the Government of Assam and Tata Trusts was set up in December 2017 to create a first-of-its-kind, three-level cancer grid in the State, organized a number of awareness activities on the occasion in many parts of the State. Around 50 per cent of all cancers are caused due to consumption of tobacco in some form. Hence, ACCF is also working on prevention – tobacco control, early detection, treatment and palliative care. Modern medicine has evolved a disease-oriented approach, in which suffering is given less attention than the effort to conquer disease. In the context of cancer, palliative medicine offers a model of care that is based on the control of the disease and its symptoms coupled with psychosocial and spiritual support. To sensitize on palliative care, a panel discussion was held by experts and informative leaflets were distributed in State Cancer Institute at Guwahati and at ACCF Palliative Care Unit-AMC, Dibrugarh. The events had an overwhelming response from across communities and individuals.